Shri Mataji Nirmala Devi was born on March 21, 1923 to a Christian family in Chindawara, India. Her parents were Prasad and Cornelia Salve, direct descendants of the royal Shalivahana dynasty. Seeing the beauty of this child who was born with a spotless brilliance, they called her Nirmala, which means ‘immaculate’. 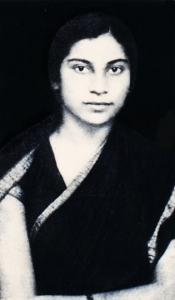 Later on she come to be known by the name of Shri Mataji Nirmala Devi – the revered Mother who was born with her complete Self Realization (yoga state) and knew from a very young ago that she had a unique gift which had to be made available to all mankind. Her parents played a key role in India’s Liberation Movement under British rule. Her father, a close associate of Mahatma Gandhi, was a member of the Constituent Assembly of India and helped write free India’s first constitution. He was a renowned scholar, master of 14 languages and translated the Koran into Marathi. Her mother was the first woman in India to receive an Honors Degree in Mathematics. As a child, S hri Mataji lived with her parents in the ashram of Mahatma Gandhi. Gandhi saw the wisdom of this child and used to appreciate her immensely, affectionately calling her Nepali due to the Nepali features of her face. Even at a young age, her deep understanding was evident to Gandhi, who frequently sought her advice on spiritual matters. 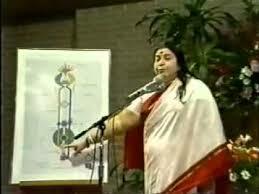 Shri Mataji was born with a complete understanding of the human nervous system and its energetic counterparts. In order to become acquinted with the scientific vocabulary attached to these subjects, she studied medicine and psychology of the Christian Medical College in Lahore. In a notoriously corrupt political system, he rose in government ranks very quickly, even though he was an absolutely honest person. He held the post of the Joint Secretary to the Prime Minister’s office of the late Shri Lal Bahadur Shastri in the years 1964-66. Shastri himself was an ideal model for a Prime Minister in India’s political history. Afterwards Sir CP was elected for 16 consecutive years to be the Secretary General of the United Nations International Maritime Organization. 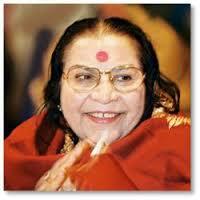 Shri Mataji was nominated twice for the Nobel Peace Prize. Sahaja Meditation is a partner of United Nations Educational, Scientific and Cultural Organization. Since 1970, Shir Mataji Nirmala Devi has kept a busy schedule, travelling around the world to teach the techniques of Sahaja Yoga meditation. She has demonstrated her capacity to trigger the awakening of the spiritual power in human being (Kundalini) at an “en masse” level. Large numbers of people, without distinction of race, religion, age or social status have acknowledged the value of her teachings by establishing Sahaja Yoga centers in over 100 nations. People who live a normal family life tap to their inner spiritual power through daily Sahaja Yoga meditation and have achieved a complete balance of their lives on the physical, emotional, mental and spiritual levels. They understand the integration of all religions and spiritual paths not at a mental level, but through their direct, tangible experience on the central nervous system. Thousands of years ago, the Blossom Time was prophesized when, in these modern times of crisis, thousands of seekers of Truth would experience this connection with their Spirit. In her message – You can not charge for something which is already yours and is natural process like breathing, and you can not pay for something which is so valuable. Shri Mataji Nirmala Devi passed away peacefully on 23rd February, 2011 in Genoa, Italy, aged 87.